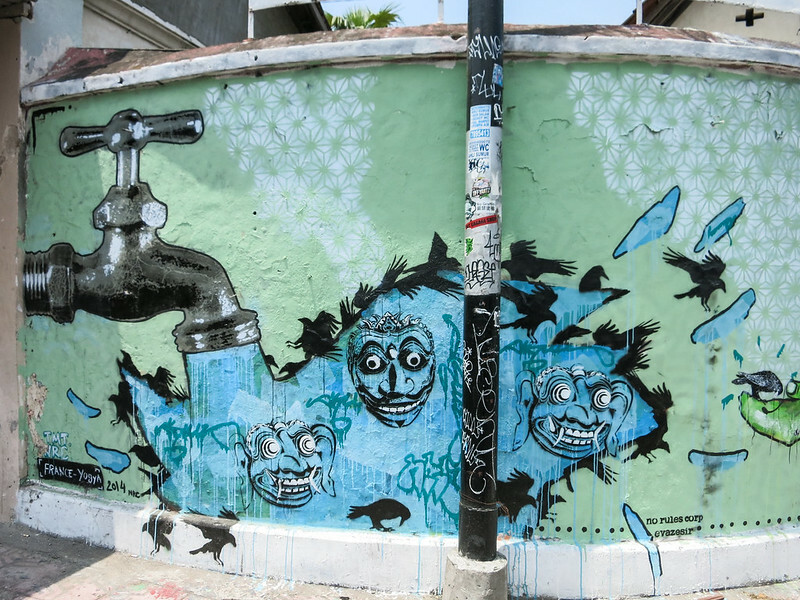 Street art by our guest house. We have a dear friend back in New York who is a master in the art of persuasion. Besides being stylin’ and easy on the eyes, she’s an expert salesperson. Roz is N’s nightmare when it comes to shopping, because she can easily convince me that I really need those $400 shoes. But she is also a professional negotiator and knows how to get a good deal. 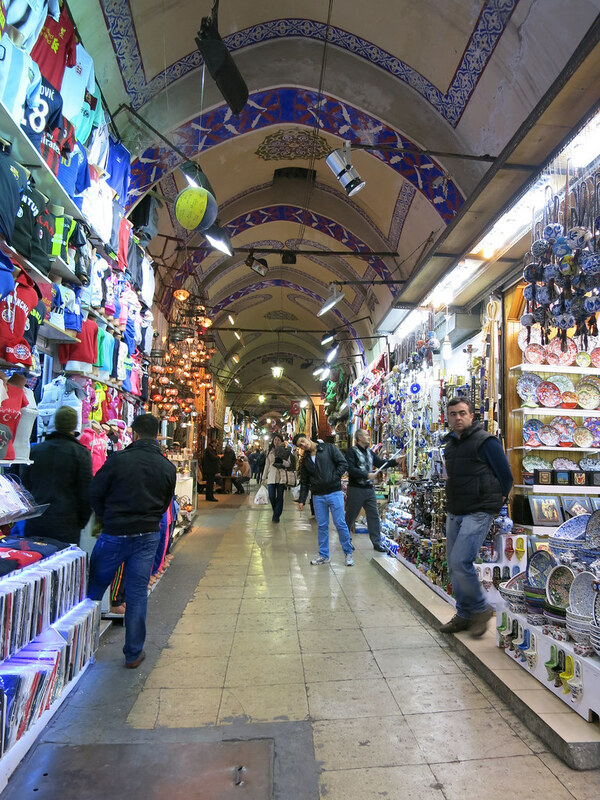 Over the years, I’ve watched her work on some of the toughest people, including Turkish salespeople in the Instanbul tourist markets. They literally have fun with the sport of bargaining, and they’re a tough bunch. These guys will take you for a ride and spit you out of the other end with an empty wallet. Roz recommended Yogyakarta to us, and I don’t want to age her but she went about a billion years ago when it was still an emerging tourist destination and Indonesia in general really wasn’t on anyone’s tourist map besides, of course, Big Bad Bali. 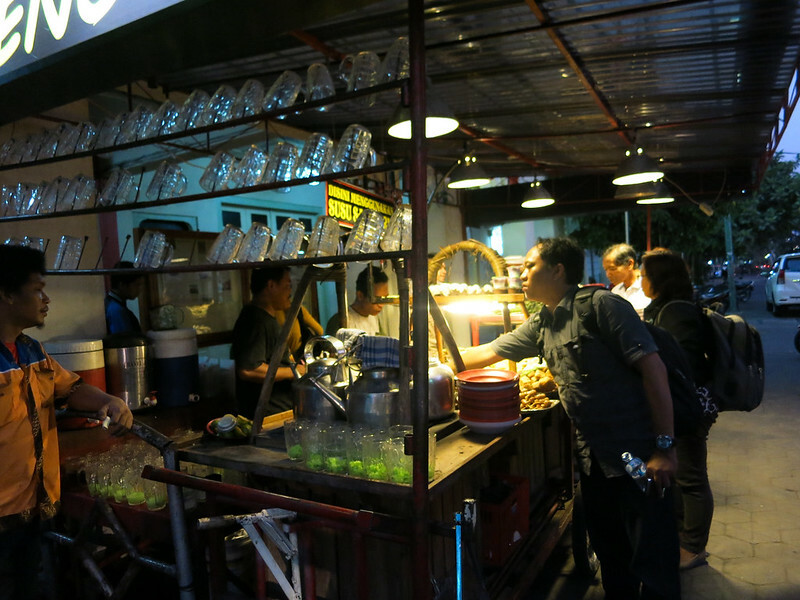 She sold it to us without much effort because we had heard from other travelers that it was Indonesia’s creative capital. Plus, it was also the most convenient base from which to visit Big Bad Borobudur. 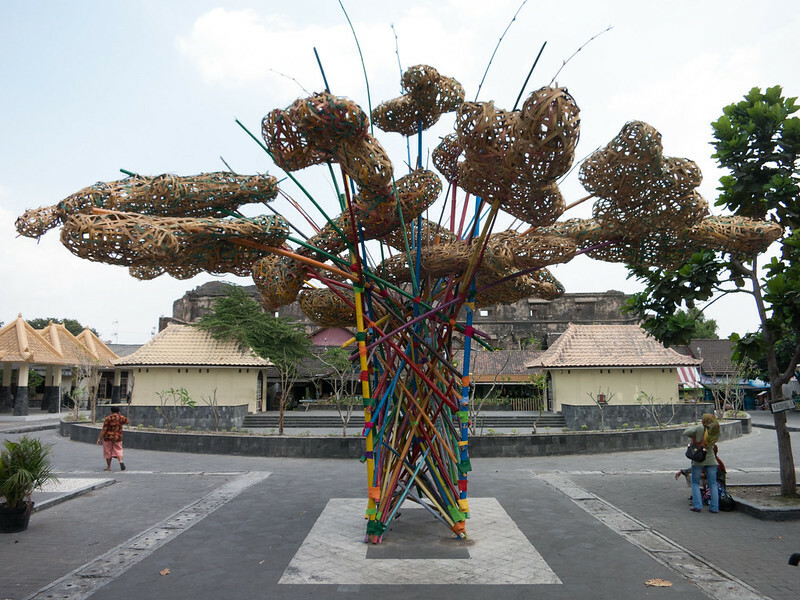 Yogyakarta is the CliffsNotes of Indonesian (Javanese) art and culture. It’s a good place for people who don’t have months to immerse themselves in Indonesia but want a taste of what the country’s culture is all about. It had changed a lot since the last century when our friend visited and it ended up not being one of our favorite places, but there was plenty to keep us entertained. 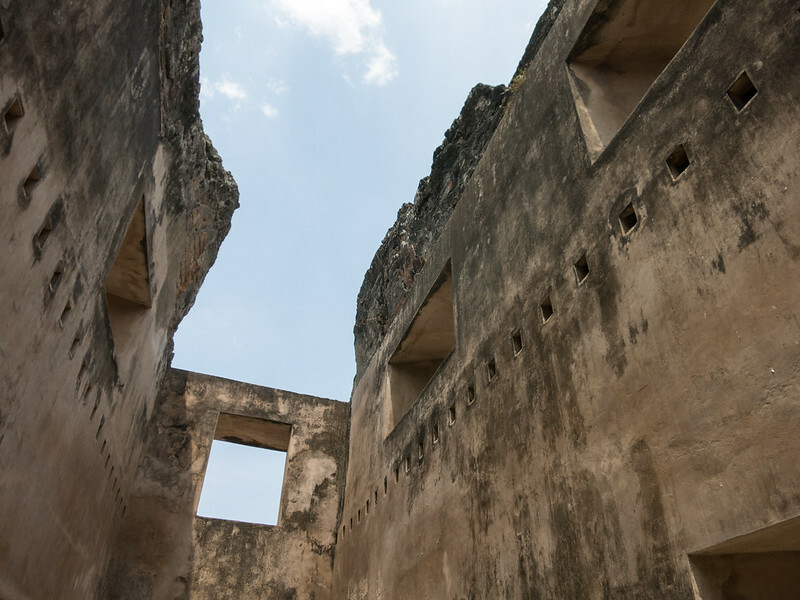 Yogyakarta was our first real big city in Indonesia, and our first stop on the island of Java. Like other cities we’ve been to in this country, it is dirty, congested and polluted. So chokingly polluted from vehicles spewing dark exhaust that riding a becak (rickshaw) in traffic is suffocating. 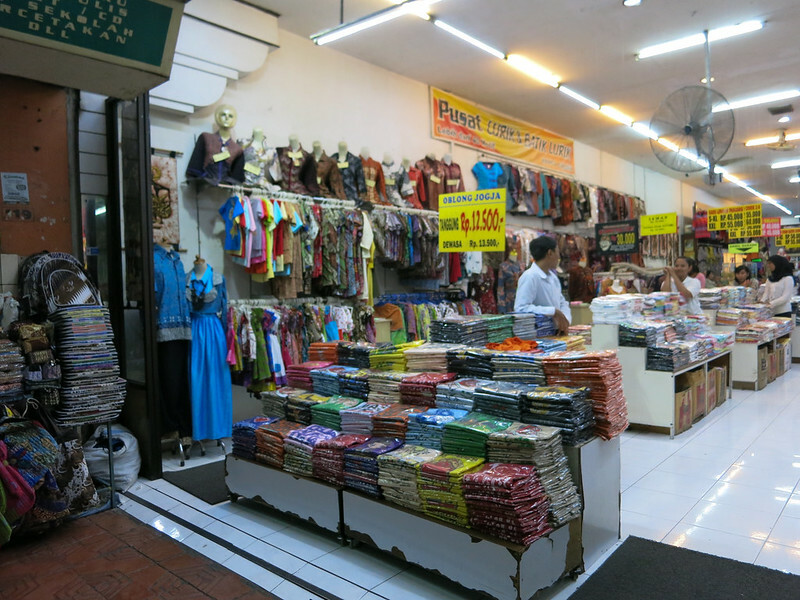 It is the bustling home of traditional batik artists and shadow puppetmakers. It also happens to be overrun with touts and scam artists preying on tourists to get on overpriced becak “tours” around the city’s sights and buy fake batik textiles and other random junk they probably get manufactured for cheap in China. 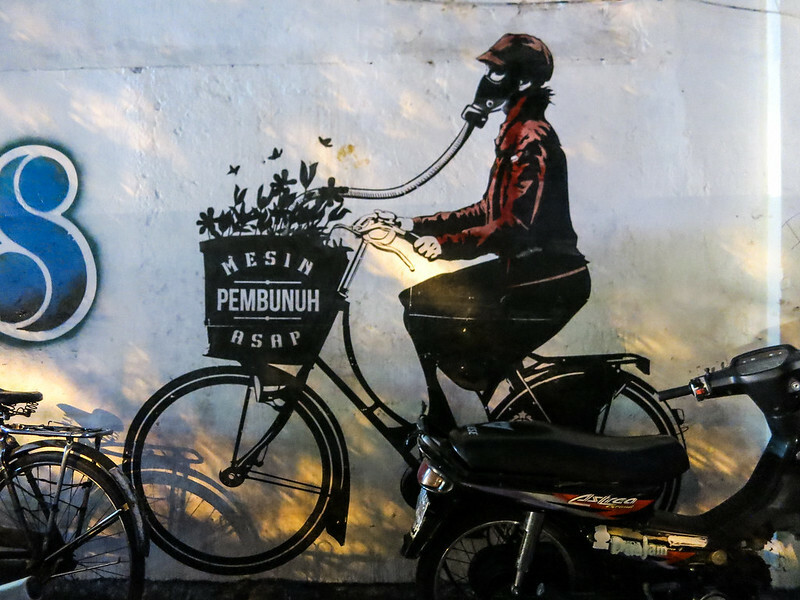 I wish I had one of these gas masks as I walked around Yogya. 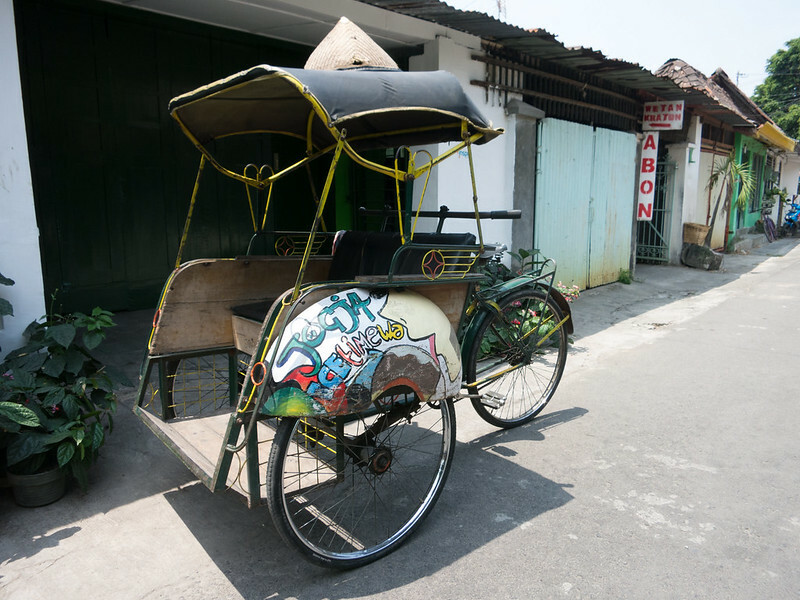 Don’t take a becak ride through the main streets. Stalls opening up for the local dinner crowd. 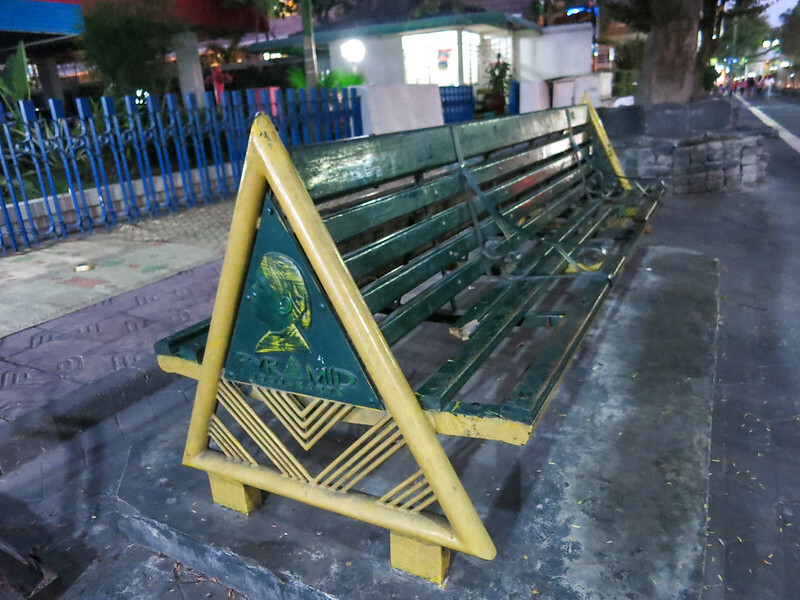 The tacky offerings on Marlioboro Street. Our first full day in Yogya, we ran into a Spanish-German couple who was on the same plane as us from Medan. The German girl was friendly as expected, and the Spanish guy was probably the second quietest Spanish guy we’ve ever met. We’re starting to suspect that Catelonians are really quiet compared to the extremely vocal groups of Spanish tourists we encounter, who sound like they learned how to whisper in a sawmill and are in some kind of competition to outtalk each other at the same time. We eventually found ourselves at the Water Castle, and a not-so-random local approached us. This man became our impromptu guide for the Water Castle, taking us down the narrow alleyways crammed with little houses and art studios. On our way to the Water Castle. Walls leading into the Water Castle. As was his intention from the beginning, he casually stopped in front of a batik workshop where two artists worked on a beautiful sarong. 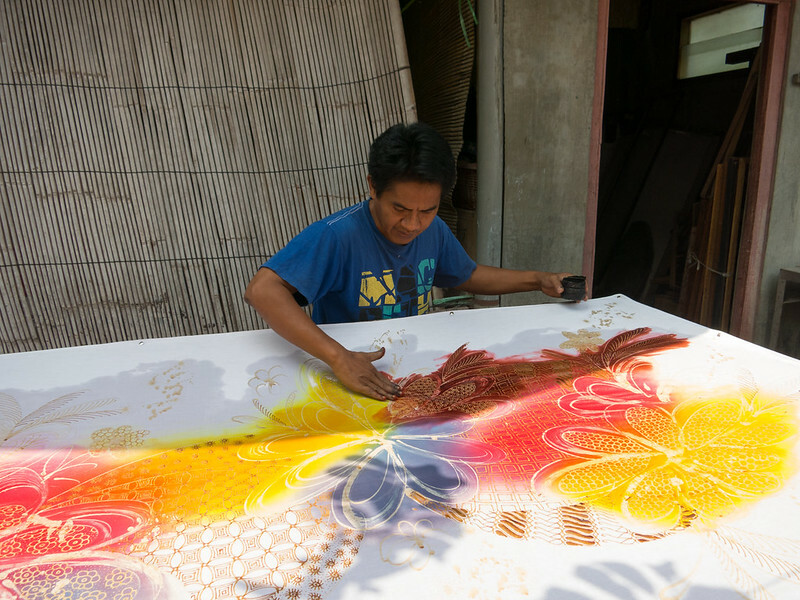 He explained the process and the different artistic styles used in batik textiles nowadays. It was hard not to be impressed. I won’t go into the process here because it’s lengthy, but these guys were legit. They knew what they were doing, and we watched as one of them expertly applied dye to the waxed cotton. 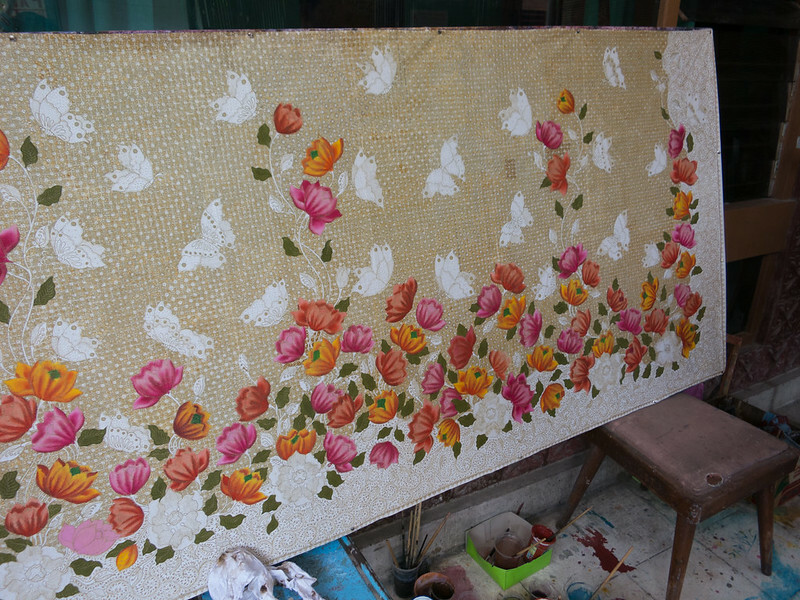 Pre-dyed cotton fabric with beeswax applied to it. 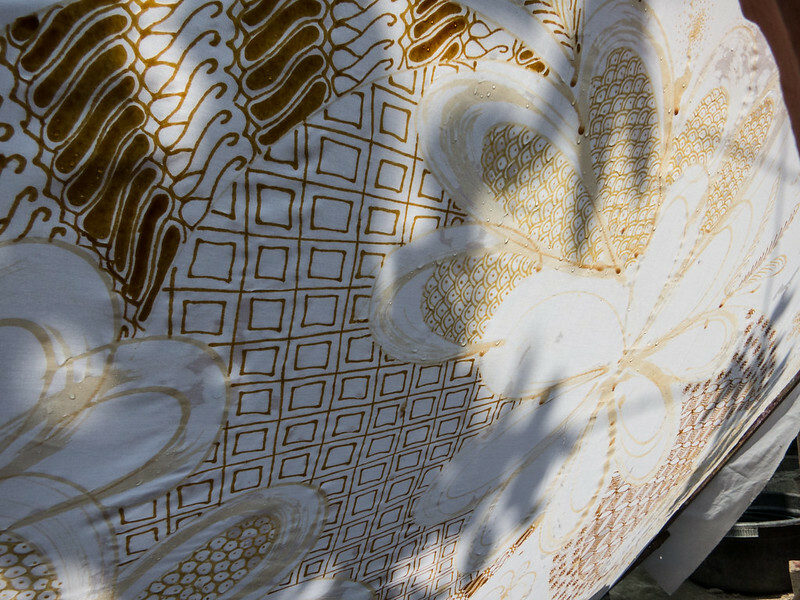 A batik sarong in progress. Dye being applied. The colors show up transparent at first, and bloom into color with exposure to the sun. Our “guide” spent the next few hours educating us on Sumur Gumuling, an underground rest area and mosque used by the sultan and his ladies, and then onto the Water Castle (Tamansari), gesturing for us to follow him from one place to another. By this time we were already wondering how much we should tip him at the end.